Today we had many lessons in how to be a true Southern Belle. We started our day with a cooking class at the 700 Kitchen at the Mansion on Forsythe. 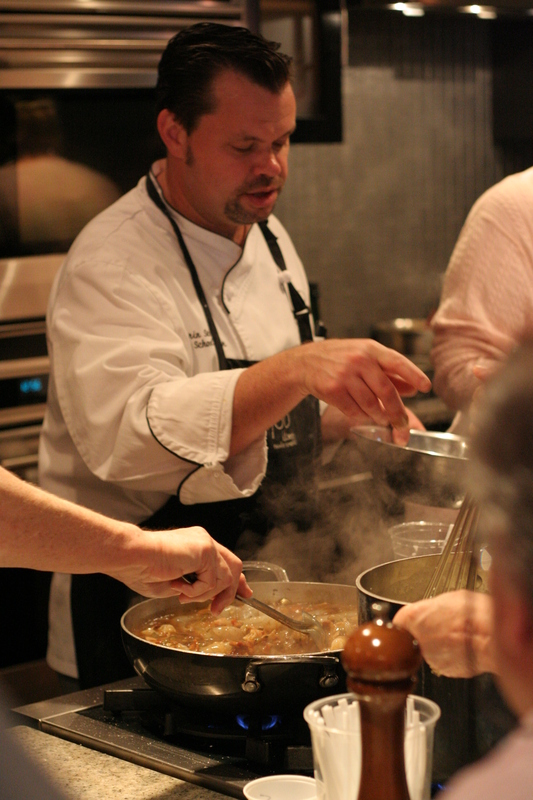 Chef Darin lead us through an extensive and authentic “low country” menu. We learned some of the science behind baking, how to properly wield a chef’s knife and the proper way to dice a variety of veggies. Our class of 15 aspiring chefs sliced, diced, prepped, cleaned, dipped, fried, stirred and baked for over 3 hours. Each of us received individual instruction and tips from Chef Darin. At the end of class we all sat down to enjoy our delicious creations. This is by far the best Savannah experience! After class, we stopped to shop and the Antique Books and Maps Shop on Monterey Square. Mom picked out an antique ink drawing of the River Jordan. We headed north and did an afternoon tour and the Owen-Thomas House. The Owens-Thomas House collection contains furnishings and decorative arts from the English Regency period. The site also includes a beautiful English-inspired parterre garden and an original carriage house—which contains one of the earliest intact urban slave quarters in the South. On the way back to the hotel we stopped for a bite to eat at Kayak Kafe. They take a minimalist approach to an organic/natural food menu… basic food that’s totally devoid of flavor. Don’t bother. At 7pm we headed out for a night on the town and our second lesson of the day on how to be a southern belle. 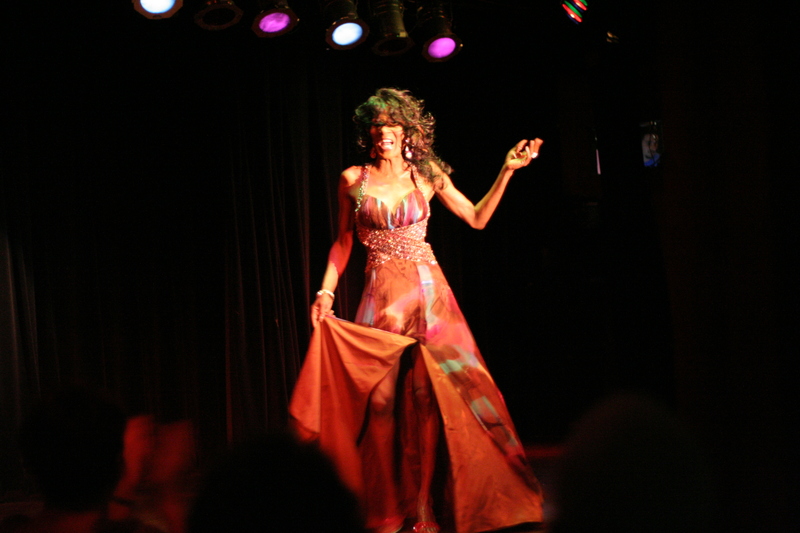 We walked to Club One for the Lady Chablis Drag Show! Mom and I enjoyed the show and drinks. Lady Chablis is fantastic. Funny, sassy and FABULOUS! We wrapped up our evening with drinks at Anna’s at City Market. will eventually come back sometime soon. I want to encourage you to continue your great writing, have a nice day!